Universal Studios theme park was once only a one-day excursion for visitors to Orlando. Now, as part of Universal Orlando Resort, it's a destination resort in its own right. The addition of the spectacular Islands of Adventure and Volcano Bay theme parks, the CityWalk entertainment complex, and luxury hotels offers guests a multiday vacation destination. If you're planning a vacation to Universal Orlando, learning a little bit about the weather, the area, and what to expect will help you get the most from your time and vacation dollars. Our Orlando Vacation Planner, which provides helpful information and tips for planning your vacation, can help you address any questions that might not be covered here. First, let's look at some frequently asked questions about Orlando and Universal. The Atlantic hurricane season begins June 1 and ends November 30, peaking from late August through September. If you are planning to visit Universal Orlando on vacation, one of the hardest things to do is choose when to visit. While special events and promotions may have some influence on theme park attendance, historically, Universal's highest theme park attendances are influenced by certain holidays. These month-by-month guides will give you insight into the best times to visit. 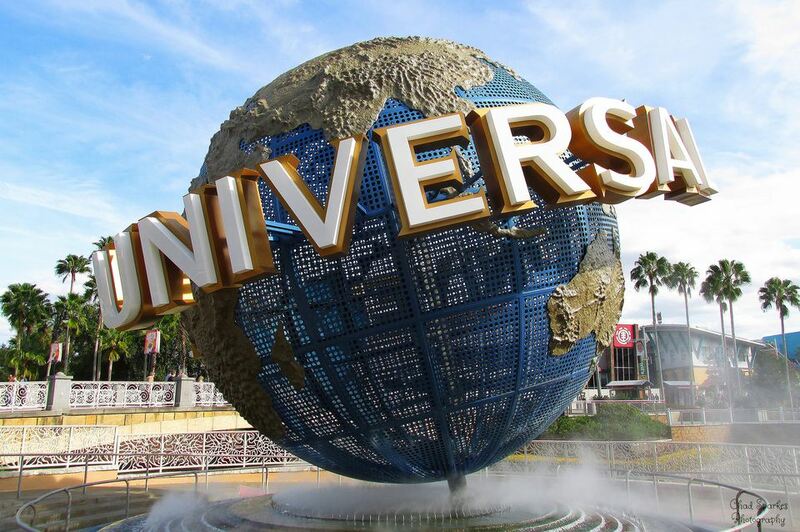 How Much Are Universal Orlando Tickets? Universal Orlando theme park admission ticket prices depend on whether you visit just one park or multiple parks on the same day. Multi-day admission tickets are less expensive per day than buying single-day tickets. Check here for ticket prices and strategies for saving money on online advance ticket purchases. Are There Any Universal Orlando Ticket Deals? Discounted Universal Orlando theme park tickets are available online when purchased in advance of your trip and are usually the best deal. Florida residents can obtain special pricing on tickets and annual passes. Occasionally, there are special promotions available through partnerships with Universal Orlando and various merchants (e.g., Coca Cola). Look for them to be well advertised and available to the general public. The motion picture and television theme park built with Steven Spielberg as the creative consultant opened in 1990. Its state-of-the-art rides, shows, and attractions allow visitors to "ride the movies!" Some of Universal Studios' rides and attractions include the following. Despicable Me Minion Mayhem: In this 3-D ride based on the "Despicable Me" films, Gru recruits you to become an actual Minion, but things don't go as planned in his villain laboratory. Harry Potter and the Escape From Gringotts: Based on the Harry Potter films, this thrill ride takes you on a journey where you'll encounter goblins, a huge fire-breathing dragon, trolls, and other creatures. 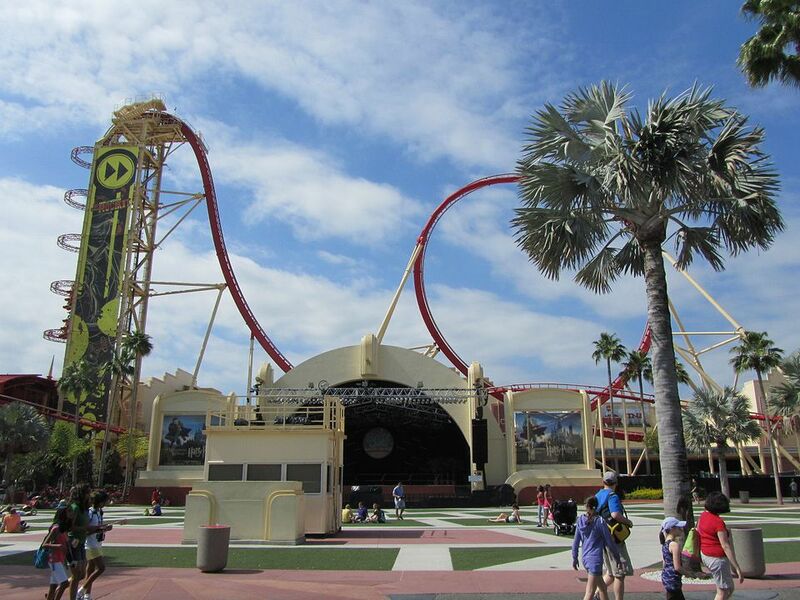 Hollywood Rip Ride Rockit: Immerse yourself in this personalized and unique roller coaster experience. Men in Black Alien Attack: Based on the blockbuster motion picture "Men in Black," guests determine each ride's outcome by their individual and collective alien-zapping abilities. Revenge of the Mummy: Ride if you dare to face an army of warrior mummies. Shrek 4-D: The multisensory 4-D attraction picks up where the Oscar-winning feature film "Shrek" left off. Terminator 2: 3-D: Guests join forces with the Terminator for a futuristic combination of live action, special effects, and 3-D film. The Simpsons Ride: The attraction based on the animated television show "The Simpsons" gives passengers a wild ride through a carnival-like midway​—Krustyland. Open since 1999, Islands of Adventure is home to some of the most thrilling rides and attractions ever made. Set among the exotic coastlines of the oceans of the world, this adventure begins at the Port of Entry and continues through multiple themed islands. Some of Universal's Islands of Adventure attractions include the following. Jurassic Park: This Island contains the most lifelike animatronic creatures ever made. Guests take a thrilling voyage of prehistoric discovery and come face-to-face with living, breathing dinosaurs on the exciting Jurassic Park River Adventure. Marvel Super Hero Island: Comic book heroes and villains combine with unprecedented 3-D film, live action, and special effects technology for guests to experience the world's most innovative adventure rides including The Amazing Adventures of Spider-Man, The Incredible Hulk Coaster, and Doctor Doom's Fearfall. Seuss Landing: Whimsical characters of Theodor "Dr. Seuss" Geisel's famous books spring into life on this island. Guests of all ages can enjoy the mischievous adventures of the world's most famous feline in The Cat in the Hat ride and soar high on The High in the Sky Seuss Trolley Train Ride. Skull Island: On this island, King Kong reigns. Will you be able to escape the ape's razor-sharp teeth and grasping talons as you journey through the jungle? The Lost Continent: This is a land where myths and legends come to life. In Poseidon's Fury, adventurers find themselves encountering mythical gods in this spectacular special effects experience. The Wizarding World of Harry Potter: The adventures of Harry Potter come off the printed page and movie screen and to life in this one-of-a-kind experience. On Harry Potter and the Forbidden Journey, Hogwarts Castle is the centerpiece of the ride. Toon Lagoon: More than 150 famous cartoon characters come to life in an environment that blurs the boundaries between imagination and reality. Guests can get wild on a whitewater-rafting trip in Popeye & Bluto's Bilge-Rat Barges and on the hair-raising flume drop, Dudley Do-Right's Ripsaw Falls. Volcano Bay is Universal's newest theme park. The centerpiece of this water park is a 200-foot-tall volcano named Krakatau. Whether you want water thrills or some time to relax, you'll find the perfect balance at Volcano Bay. To avoid standing in long lines, use the TapuTapu, a waterproof wearable device that holds your place in line. Some of Universal's Volcano Bay attractions include the following. Krakatau Aqua Coaster: On this water coaster, guests take a ride into the heart of the Krakatau volcano and then plunge through a waterfall. Ko’okiri Body Plunge: This speed slide has a near-vertical 70-degree drop and a trap door that opens into the Krakatau volcano. Kopiko Wai Winding River: Take a relaxing ride on this lazy river that winds beneath lava rocks and through water sprays. Puihi of the Maku Puihi Round Raft Ride: This raft takes you through a dark cavern and then plunges you through a huge funnel drop. Tot Tiki Reef: Here toddlers can play on slides, a kid-sized water volcano, and in spraying fountains. TeAwa the Fearless River: You feel like you're whitewater rafting on this inner-tube ride. Waturi Beach: Relax at this picturesque beach and wave pool, or visit The Reef, which is calmer with less waves. World-class hospitality meets world-class entertainment at Universal Orlando's unique hotels that bring luxury to a new level. With six onsite resort hotels—the Portofino Bay Hotel, Hard Rock Hotel, Royal Pacific Resort, Sapphire Falls Resort, Cabana Bay Beach Resort, and Aventura Hotel (opening August 2018)—Universal Orlando has transformed into one of Orlando's hottest destination resorts. Of course, as Florida's top destination, Orlando has thousands of hotel rooms. The International Drive area is especially close and provides a wide variety of lodging choices for every budget. Here are some recommendations. Top Kid-Friendly Orlando Hotels: These hotels and resorts are especially kid-friendly because they cater to families with special children's areas, supervised activities, family-friendly room layouts and suites, and fun kid-friendly themes. Best Budget Orlando Hotels: If you're coming to Orlando to have fun, then the place you stay should be fun, too. These Orlando hotels have the perfect recipe for a good time by combining price, location, amenities, and service. International Drive Hotels: This long thoroughfare has a variety of lodging choices. One end seems to be geared more toward families and, although inexpensive, still tends to offer perks such as transportation to the major theme parks and free breakfast. Farther down, hotels nearer the Orange County Convention Center are geared toward business and luxury amenities and thus are more expensive. Universal Orlando offers more than 100 dining choices for every budget and taste. Looking to save money? Try one of Universal's Dining Plans, which offer daily meals at select dining locations at the theme parks and CityWalk. There are three plans. The Universal Dining Plan is the most comprehensive and offers one table-service meal (entree, nonalcoholic beverage, dessert), one quick-service meal (entree platter, nonalcoholic beverage), one snack, and one nonalcoholic beverage per day. The Universal Dining Plan—Quick-Service comes with one quick-service meal (entree platter, nonalcoholic beverage), one snack, and one nonalcoholic beverage per day. If you'd like unlimited beverages, purchase The Universal Dining Plan—Quick-Service + Coca-Cola souvenir cup add-on. The plans can be purchased at onsite resorts (hotel guests only), in person at the theme parks, or online. Gratuities are not included. Meet and greet your favorite Universal characters for select meals at Universal Orlando resorts and parks. Various restaurants offer character breakfasts or dinners where characters will greet you at your table and pose for photos. Park admission and hotel reservations are not required. Reservations at locations offering character dining are recommended. Special Halloween and Christmas meals may also include characters. You can pre-purchase your character dining meals or make reservations on the Universal Orlando Resort website. You can also make reservations by calling (407) 224-FOOD (3663) or (407) 503-DINE (3463) up to 24 hours in advance. Universal Orlando is a fun and exciting destination, but planning a vacation that coincides with one of Universal's special events can make it even more special. Some special events include the following, but check the ​Universal website to see what else is planned. Universal Studio's Mardi Gras (early-February through early-April, depending on when Easter falls): Prepare to catch some beads and great entertainment every Saturday night (and select Friday and Sunday evenings) as Universal is turned into the "Big Easy" with parades, live musical concerts, and the taste of Cajun classics. Universal Studio's Rock the Universe*: A two-day, faith-filled, action-packed, cutting-edge rockin' weekend featuring Christian music is how to best describe this popular over-the-top event. Universal Studio's Halloween Horror Nights* (mid-September through early November): It's legendary, it's horrific ... and, it's not for the faint of heart (or children younger than 13 years old), but crowds keep coming back for more unimaginably frightening haunted house experiences. Universal's Holiday Celebrations (mid-November through early January): Universal Orlando Resort transforms itself into a holiday wonderland with decorations, specially themed holiday shows, live music, and entertainment. The streets of Universal Studios are filled with merriment as floats, performers, balloons, and marching bands bring the tradition of the classic Macy's Thanksgiving Day Parade to life every evening. Another highlight of the holidays is Grinchmas, featuring the green one himself, and the Whos liven up Islands of Adventure with special shows and character greetings. This 30-acre entertainment complex is located at the heart of the Universal Orlando vacation destination and offers an array of restaurants, live music, and dance clubs. CityWalk, which opened in 1999, is the soul-stirring entertainment core of Orlando, with amazing restaurants and bars and a movie complex. Here are some of the many places to try. Bob Marley—A Tribute to Freedom: Live music nightly is served up with authentic Jamaican and Caribbean cuisine. Bubba Gump Shrimp Co.: Lots and lots of shrimp, plus great seafood, steaks, sandwiches, appetizers, and desserts. City Walk's Rising Star: Live your dream as a lead singer at this karaoke club. Emeril's Restaurant Orlando: Cuisine from one of the country's hottest chefs, Emeril Lagasse. Hard Rock Cafe: Grab a bit of rock 'n' roll history along with a burger at the world's largest Hard Rock Cafe. Jimmy Buffett's Margaritaville: Sip a margarita and savor a cheeseburger in a tropical paradise while enjoying nightly live entertainment. Pat O'Brien's: Replica of famed New Orleans watering hole down to the flaming fountains patio, piano bar, and world-famous Hurricane drink. Red Coconut Club: Tropical and trendy nightclub and lounge. the groove: Dance club with VIP-themed lounges, the latest in special effects, and a sound system that will help you find your "groove." Admission tickets can be purchased as one-park, two-park, three-park, or park-to-park passes. One-park access allows admission to one Universal Orlando theme park per day for the length of the ticket. Park-to-park access allows admission to all three Universal Orlando theme parks on the same day. Season and annual passes are also available. Tickets start as low as $70 for one-day admission to Volcano Bay. What is the benefit of buying multi-day tickets? You reduce your daily cost of admission—the more days you buy, the less you pay per day. Multiday tickets are valid for 14 days from the first date the ticket was used. Also, tickets with a duration of two days or longer are valid for 14 days to Universal's CityWalk entertainment venues. All ticket prices exclude taxes and fees and are subject to change without notice. All tickets are nonrefundable and nontransferable and can only be used by the same person on multiple days. Children's tickets are for ages three to nine and children younger than age three are admitted free. Universal Express Access allows you to skip the long lines at many attractions for a separate line with a shorter wait time. It is just one of the perks of staying at a Universal Orlando on-site hotel; but if you are staying at a nearby hotel, you may purchase a Universal Express Access pass online or at the front gate. Florida residents can enjoy all the entertainment that Universal Orlando offers at a great year-round value when purchasing specially priced tickets and annual passes. Three levels of annual passes are available, each offering different perks (e.g., no blackout dates, free parking). Florida residents can pay in full online or use a monthly FlexPay payment plan for annual passes. Limit six tickets per transaction. Sales tax is additional. Blackout dates apply. Florida residents must pick up tickets in person at any Universal Orlando ticket window. Order confirmation and proof of Florida residency are required at time of purchase and ticket pick-up. A valid Florida ID is required for each ticket purchased. Proof of Florida residency includes a Florida driver's license, state-issued ID card with Florida address, Florida voter registration card with photo ID, or a college ID from a Florida college or university with corresponding photo ID.